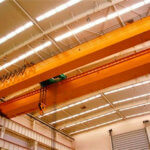 Double girder EOT crane is a type of overhead crane from Ellsen Overhead Crane Company. 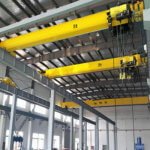 About the EOT crane it is one type of light-duty crane from the crane factory, which includes two types one is the double girder EOT crane, the other one is the single girder EOT crane, and both the two types of electric bridge crane are best-customized crane equipment, any personalized needs of you will be perfectly met, once you come in connection with us. 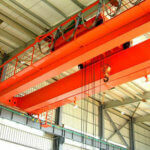 What does the double girder electric overhead traveling crane use for? 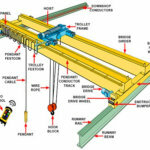 The double girder EOT crane is a set of the cross-and plant along the track. 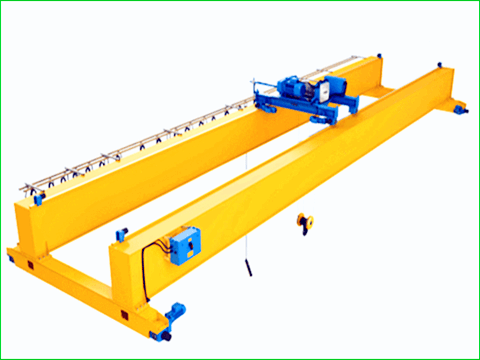 The crane trolley can do the horizontal movement. 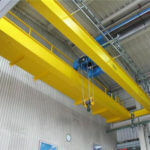 Hook lifting movements with the lifting equipment is suitable for industrial and mining enterprises warehouse, workshop. 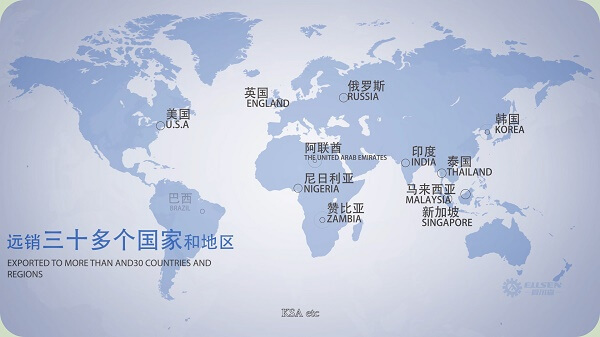 It is suitable for high temperature (> + 40 ° C) and low temperature (<-20 ° C), submerged red hot metal and its workplace with strong corrosive chemical gases. The work level is from A5 and A6 according to the frequency of work and loading rate. 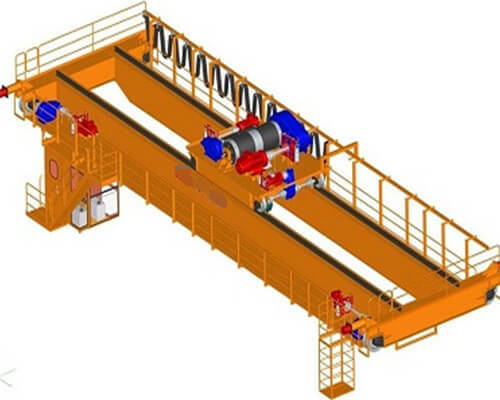 According to the rated weight, span, work level can be attached to the crane with a total picture and the performance parameters of the car table and the required size parameters. 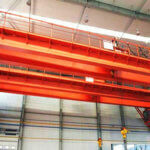 How to maintain and protect the double girder EOT crane? 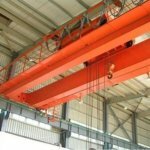 To ensure the best work performance of the EOT crane and extend its service time, the following suggestions will be of great importance for your reference. Proper use, regular inspection, reasonable maintenance, all of which will be helpful. must avoid a sharp start, brake, and collision with another crane. regularly check the main and end beams of the weld, found that the crack should be stopped using the implementation of re-welding. When the main beam is found to have residual deformation or loss of web beam, should be stopped using, to repair. In order to prevent corrosion of metal structures, should be regularly anti-corrosion paint. Check whether the connecting screws are loose regularly. 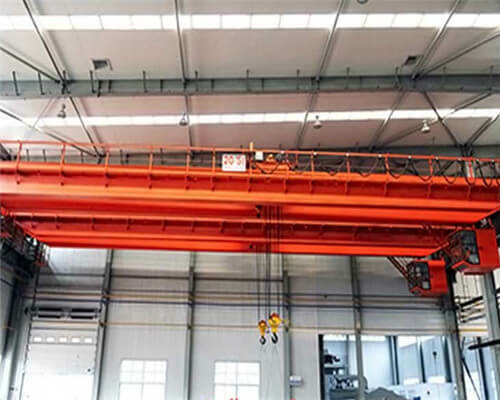 With all the above the double girder EOT crane solution in the crane description, application, structure, usage and maintenance suggestions, if you are interested in our double girder EOT crane product, be free to contact us. 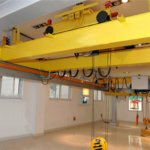 The crane factory with its excellent crane engineer talent poos will support your crane purchasing plan with their prognosticated experience and knowledge in such area.